The Nestlé Gold winner: a witty tale of cat burglers, cunning and crime! Think all sleuths wear a funny hat like Sherlock Holmes? Not Miss Ottoline Brown. She wears whatever she likes. (She’s a mistress of disguise.) And who needs a human sidekick when you can have a hairy bog creature called Mr Munroe as your partner in not-crime? Ottoline and Mr Munroe live in a stylish apartment in Big City, looking after the Brown family’s posh antiques – and dabbling in a spot of detective work. When Big City is rocked by a series of high-society dognappings and jewel thefts, they’re first on the scene. But are they smart enough to catch the cunning Yellow Cat? 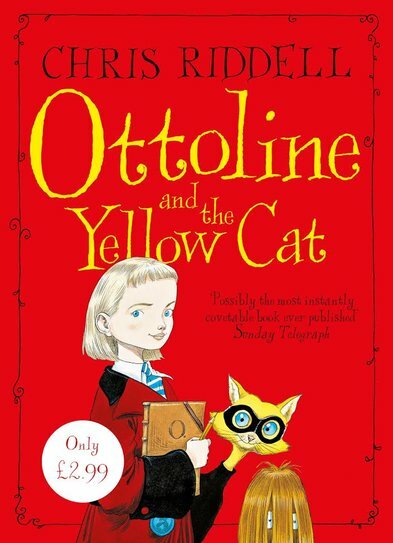 The Ottoline books are really good!! It was very funny book. I read it all in one go. An amazing book. It rely got me in to the interesting book. I do recommend to read it.